All around the world, when one thinks of technological innovation and prominent global tech companies, they would automatically think of Silicon Valley, the center of the tech industry. A person who is working in a field relating to the tech industry would almost choose to live and work in Silicon Valley due to the region having an area that is not only rich in wealth but also rich in knowledge and ingenuity. For the past decade, however, many companies and individuals discover that they don’t have to seek out Silicon Valley as a location where they can be successful in tech. Cities such as Austin, Seattle, Chicago, and Portland are climbing up the ladder to become the United States’ next tech hub and other cities abroad are competing to be a new destination for tech workers and corporations to migrate to. One city that is more known for its collection of art masterpieces, fine cuisine and scenic roads than technological innovation would be Paris. Paris is considered one of the three main tech hubs of Europe (with the other two being London and Berlin) and among the newest attractions in the ‘City of Lights’ is Station F, the world’s largest startup campus. Station F is home to more than 1,000 startups, along with global companies such as L’Oreal, Microsoft, Amazon, and BNP Paribas, and the campus’ mission is to connect the startups with the various corporations, organizations, and universities in Paris and across France. The campus is founded in 2017 by telecom billionaire Xavier Niel who invested $285 million into the campus around the same time Emmanuel Macron became French president, whom once stated on his campaign that he aims to make France into a “startup nation”. According to Station F Director Roxanne Varza, entrepreneurs would pay around $235 per month for desks and that since the startups are Station F’s main source of revenue, the business of running the campus cost $9.7 million. 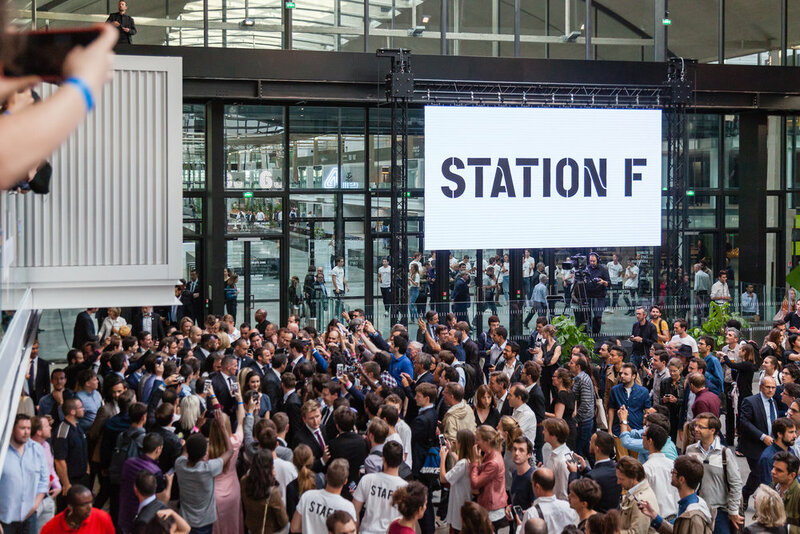 Since its opening, Station F has been greeted with optimism as it signals a France that is forward-thinking in regards to accepting a new role as a European tech leader. The creation of Station F has inspired many women and people from minority backgrounds to work in the campus, importantly the residents from the working-class suburbs or banlieues. Hafida Guebli, the founder of a startup called Nyebs, had stated that people may have different problems trying to raise money based on the background they have. Since the establishment of Station F in 2017, Xavier Niel has spent hundreds of millions of euros to transform a former railway station to a campus that is considered to be a formidable rival to the campuses of Google, Facebook, and Uber in Silicon Valley. According to an article from VentureBeat, Station F has a long list of accomplishments including being host to 31 startup programs, receiving 11,271 startup applications during the first year for desk spaces, and that also during the first year, there were 1,034 startups that contain a total of 4,882 residents working on the campus. The popularity of Station F in France is due to widespread approval of the tech industry’s role in enhancing the French economy, especially since President Macron had set up an investment fund of $12 billion for startups nationwide in order to encourage startups to stay within the European Union in the aftermath of Brexit. As of April 2018, France has overtaken Britain as the European country with the most venture-capital-backed businesses, 688 in total. Station F’s mission of connecting startups with larger companies and institutions are based on a desire to show the world that technological innovations aren’t just limited to Silicon Valley and that cities with hundreds, if not thousands of years of tradition, are also capable of being tech capitals of the world. The continuing rise of the campus may even inspire cities with less tech infrastructure to develop similar campuses that can strengthen the tech ecosystems in those cities, which in turn will also benefit the national economies as well.